Film Star Gary Busey as Buddy Holly, Don Stroud, Charles Martin Smith, William Jordan. 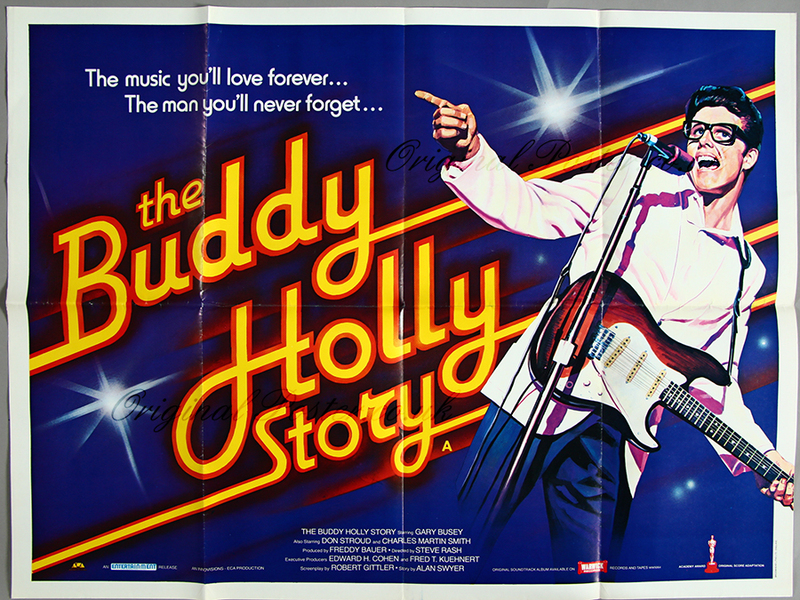 Details Gary Busey was Oscar nominated for his portrayal of the late great Buddy Holly whose memories and music will always live on. Busey and the movie's Crickets actually do their own singing and playing in this wonderful tribute to the legend.